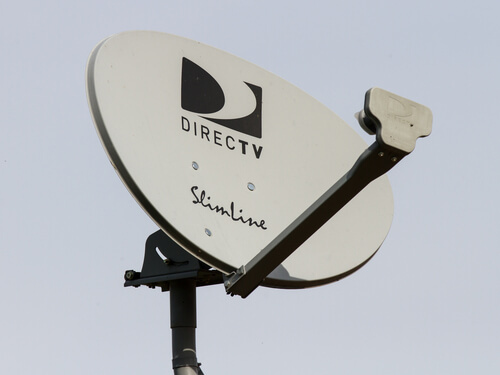 DIRECTV is a service that provides on-demand TV along with live channels. It also offers movies via its DIRECTV Everywhere program. Moreover, DIRECTV also has a Cinema service. Even though DIRECTV Everywhere, sounds like it would provide content to people everywhere, it doesn’t. If you don’t live in the US, you can’t watch DIRECTV content. Even if you usually live in the US, but are traveling for whatever purpose, you still can’t DIRECTV on any of your devices. 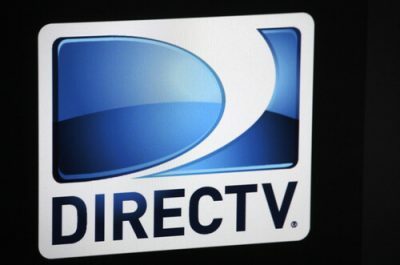 To watch DIRECTV you have to use your subscription while inside the US. then you will have to find some other methods. These are the three ways in which you can watch DIRECTV outside US. These methods will also allow you to have access to DIRECTV other services such as DIRECTV Everywhere. We’ll get into the details of all of these methods in a bit to stay put. This tutorial will show you everything you need to know about how to watch DIRECTV outside US. Our methods will show you only the best ways to watch DirecTV online. The overall procedure to learn how to watch DIRECTV outside US is rather long. But you can skip that if you want to, especially if you already know a lot about VPN service providers and Smart DNS services. And you can sign up for IPvanish by clicking right here. IPvanish is the best VPN service provider when you want to watch DirecTV outside US. We don’t have any recommendation for a SmartDNS service since there isn’t a clear-cut winner. We will list out the ones we think are the best in the industry at the moment in a later section. 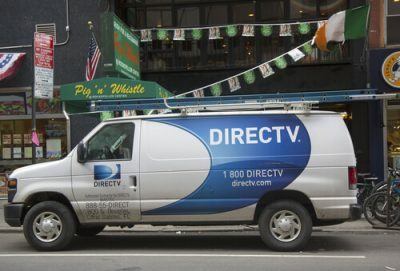 After you have signed up for a VPN service, all you need to do is to connect to a US-based VPN server and then you can easily watch DirecTV outside US. Moreover, you can watch all other US-based online services such as Hulu and other streaming services as well. If there is a channel that DirecTV covers, then you can watch it outside US once you sign up for a VPN service provider. Of course, you can always go with Kodi and skip the DirecTV part and literally watch anything and everything from the comfort of your home. 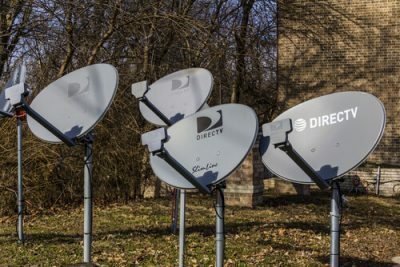 How To Watch DirecTV Outside US With A SmartDNS Service. As mentioned before, a SmartDNS service is simply a service that will help you to watch DirecTV outside US. Think of it as a proxy service. If you want to watch DirecTV outside US and don’t want to waste time in searching for “best” methods, then the Smart DNS service is a pretty good choice. If you try watch DirecTV outside US right now then the service will slap you with an error. Or think of it more like a request. The website will ask you for your login information, which you should have. And then it will ask you for a zip code. The interface and the order might change, but the end result will not. If you aren’t located in the US, you won’t have the opportunity to watch DirecTV. To dupe DirecTV official website into thinking that you are in US, you have to use a Smart DNS service. This will allow you to watch DirecTV outside US. What’s the advantage of using a Smart DNS service instead of other less efficient methods? The greatest advantage of using a SmartDNS service is that don’t have to install anything. All you need is tweak your settings a little (which your SmartDNS provider will furnish you with) and you’re done. Moreover, SmartDNS services work on many streaming devices. All without the help of any additional applications. But there are other advantages of using SmartDNS services as well. DirecTV is only available to people in the US. Or more specifically, those people who DirecTV thinks are in the US. Smart DNS services work perfectly fine with a ton of streaming devices. We don’t know of a streaming device that doesn’t work with Smart DNS devices. We’re talking about devices such as iPads,iPhones,PS4/PS3,Android,Smart TVs,Xbox,Amazon Fire TV,Apple TV, Roku and many other streaming devices. Smart DNS services are compatible with all of them. SmartDNS services work on a simple principle and that makes them straightforward to work with. They only alter the route of the user’s internet connection bits. Consequently, the user does not experience any speed drops as he/she would on other methods. This way the user’s streaming experience quality remains top notch. Smart DNS services do not cloak or change the user’s IP address. But of course, that is a negative point only if you visit a lot of local websites and online services. Good Smart DNS services allow users to watch streaming channels from more than one single country simultaneously. You can unlock services such as CBC, Canada, CanalPlay and DirecTV using the same Smart DNS service. In other words, you don’t have to re-configure your original Smart DNS settings and/or setup. If you’re going to use a Smart DNS service to watch DirecTV outside US that Smart DNS is not a security software. It doesn’t do anything to protect you or your internet connection. That doesn’t mean you shouldn’t give Smart DNS services a try. They are cheap and they work really fast. Hence if you are looking for the one quick-fix solution then Smart DNS services are it. So which ones do we recommend? As you might already know, the market is filled with a ton of Smart DNS services. In other words, it has become quite difficult to tell apart the good Smart DNS services from the bad ones. The only way you can tell apart a good Smart DNS service from a bad one is via experience. Experience of using many different Smart DNS services. And for that, you would probably have to waste hundreds if not thousands of dollars. Lucky for you, we here at Security Gladiators have already done that for you. And our research shows that there are a couple of Smart DNS services that you should keep an eye on if you want to watch DirecTV outside US anywhere you want to. Of course, you can do your own research and come to your own conclusions. These are just our recommendations. And the best pick according to our experience is StrongDNS. It is a Smart DNS service from the very popular service that brought us StrongVPN. If you’re going to use a SmartDNS service to watch DirecTV outside US, there are a couple of things you need to keep in mind. Your Smart DNS service should have a ton of streaming channels. A Smart DNS service should also allow you to read up on guides and video tutorials on how to set it up. And on how to set up your own device. Most good Smart DNS services come with a seven-day free trial. So make sure you use that to try out a Smart DNS service risk-free. Watch DirecTV online doesn’t have to be difficult. Smart DNS services aren’t the only way you can enjoy DirecTV outside US. Options such as VPN Service providers. A VPN service is perhaps the best tool if you want to bypass online restrictions that American streaming services such as Netflix and DirecTV impose on their content. But what does a VPN service do actually to make that happen? A VPN service basically enables users to change their IP address. Hence, streaming services such as Netflix (though it is fighting hard against VPN services) and DirecTV would think you’re from the US. And that is what you want to watch DirecTV outside US. The other thing you should remember is that VPN service providers actually change your IP address. To the location of your choosing. If you want to have a US-based location then that is what a VPN service provider will give you. And once you have a US-based IP address, you can access all other geo-blocked streaming services and channels. A VPN service provider isn’t as fast as a Smart DNS service. But it doesn’t need that advantage anyway. A VPN service provider comes with a full set of its own advantages over all other types of unlocking software applications. VPN services providers encrypt their user’s online traffic. Hence, VPN services protect the user from their spying internet service providers and government agencies. A VPN service actually changes the user’s IP address. It also hides the user’s identity. Hence, a VPN service provider also grants user anonymity which no other service does. VPN service providers provide the best way to stop websites from tracking a given user. SmartDNS services can’t protect the user against Transparent Proxies and DNS Hijacking. But VPN service providers have no such problems. They can work perfectly even when governments make use of such policies. VPN service providers can assign you an American IP address with the help of a VPN server based in the US. Once that happens, your VPN service provider automatically unlocks all other US streaming services. Hence with the help of a single VPN service provider, you can watch content on streaming sites like Hulu Plus, Netflix, HBO Go, DirecTV. Most good VPN service providers have certain qualities that you have to take into consideration. Good VPN service providers have decided VPN apps for all major platforms and operating systems. You already understand that you need to set up your streaming device to work with a VPN service provider or a Smart DNS service. Well, you get to watch DirecTV outside US. As mentioned before, VPN service providers will unblock much more than just DirecTV. These are the things a VPN service provider will do for you. With a VPN service provider, you won’t ever to think twice about how to watch DirecTV outside US. VPN service providers work from any place in the world. Which VPN Service Provider should you sign up for? To watch DirecTV outside US, you will need to sign up for an elite VPN service provider. And as we told you in the Smart DNS section, we will tell you here too that the market is flooded with tons of VPN service providers. As you would expect, not all of them are good. Hence we have selected the best VPN service providers to watch DirecTV outside US. But the best VPN service provider to watch DirecTV outside US is without a doubt IPVanish. One of the few VPN service providers with tons of locations. A VPN service is a great way to watch DirecTV online. Signing up for a VPN service provider is one thing, but to watch DirecTV outside is another. Here are the steps you need to take in order to watch DirecTV outside US. Sign up for a VPN service provider with a suitable package. You can sign up for IPvanish from here right now. Then you need to download the VPN app for your favorite device. If you want to watch DirecTV outside US on your Android then download the Android file or install it via Google Play Store. If you want to watch DirecTV outside US on your desktop then download the executable file for that platform. After that input your VPN credentials. Your VPN service provider will provide you with these in a confirmation email. After that connect to a server that is based in the US. When that is done, then you need to go to the official website of DirecTV. To do that click here. 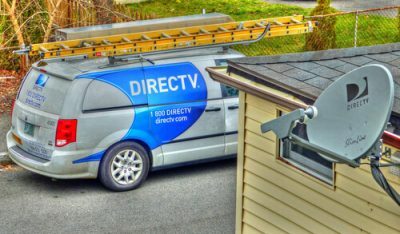 After that, you just need to input your DirecTV credentials and start watching DirecTV outside US without any problems. It probably has the most content when compared to any other streaming service. Of course, Kodi is not really a streaming service. It is a media player. And not just any media player. It works a bit differently from other media players. In other words, the users decide whether they want Kodi to play all the content that is available on the internet or only a certain type of content. Hence Kodi is as versatile as the user wants it to be. To watch DirecTV outside US with Kodi you need to install a Kodi add-on. The specific one that we want you to install is the IPTV Stalker Kodi addon. This basically enables streaming devices to deliver TV content. Under normal circumstances, this Kodi addon is capable of delivering TV data via signals that are based on Logical IP or Internet Protocol. How is that different from the conventional technology? in order to stream content. The IPTV is different from that. But have no doubt that IPTV is the best solution if you want to watch DirecTV outside US. The IPTV Stalker Kodi add on enables IPTV on Kodi. And people can use that to have the option of IPTV on their TV sets. But that doesn’t mean it doesn’t have any other channels. And you can configure the list to your liking. This tutorial will help you with the procedure on how to download IPTV Stalker Kodi addon and then install it on your Kodi setup. The first thing you should know about this addon is that Kodi does not support this Kodi addon officially. This is the third-party Kodi addon. If you want assistance with this addon then you will have to contact the Kodi addon IPTV Stalker representatives and developers. IPTV Stalker Kodi addon is not just any normal Kodi addon. And it makes watching high-quality TV content on your Tele sets a breeze. And it does all that via the internet. This guide will help you with a step-by-step guide on how to install IPTV Stalker Kodi addon running. To install Kodi on your device go to the official website here. To know how to install Kodi on your PC or Mac go here. How To Install IPTV Stalker Kodi addon? The first step is to run Kodi on your favorite device. After opening Kodi, you should go to the Kodi home screen. And then have a look at the options there such as music, programs, system, video. From here you need to go to System. After you have done that, the screen should show you many other options that come under the System menu. The screen will have options such as file manager, system info, profiles, and events. You need to hit Settings from the list of options. Once there, you will again see a lot of options such as pictures, music, services, system, weather, and add-ons. You must take a look at those options and then click on Add-Ons. This will open up yet another screen. After opening the Add-on option, you should see a page with a gear image in the background. It is here that you will an option with the name Install from Zip File. Go to this option and then click it. After choosing Install from zip option, the screen should display some downloads and files. If you have the IPTV Stalker Kodi addon zip file, then remember where you stored it, then navigate to that place and select it. The name of the IPTV Stalker Kodi addon download should go something like plugin.video.stalker.master.zip. If you don’t have the file then worry not. If you have the SuperRepo repository you can install the IPTV Stalker Kodi addon from there too. That is the simplest way to add Kodi add-ons to your Kodi setup. SuperRepo repository is huge and contains over 2200 working Kodi addons. All of them come for free. After clicking on the zip file called plugin.video.stalker.master.zip, Kodi will install the IPTV Stalker addon for you. When the installation procedure finishes, you need to make your way back to your Kodi home screen. From there you need to go to Video option. After that, you should see two important options called Add-ons and Files. And then have a look at the next screen. Once you have completed the previous step, you need to look at the list of shown Kodi addons. This menu will show you the Kodi add-ons you have installed on your system. From the list, pick out IPTV Stalker Kodi addon 2017. This action of yours will open the IPTV Stalker Kodi addon for you and then you can utilize it to watch high-quality TV content from channels that air in the US, the UK and Canada. It is safe to say that with Kodi and its addons you get more than what DirecTV can give you. In other words, with Kodi you don’t just get to watch DirecTV outside US but watch DirecTV outside US and much more. As mentioned before Kodi is the best open source media player if you want to watch DirecTV outside US and for free. Kodi is tailor-made for activities such as live streaming. Of course, each of the above-mentioned streaming services come with their own set of advantages. So you have to pick what is right for you. Kodi works on almost all devices and has dedicated apps for each platform. Perhaps that and the fact that most of the content on Kodi is free, gives it the edge over other streaming sources. Let’s talk about the IPTV Stalker addon. This addon enables Kodi to show you content from sources such as DirecTV. If you install this addon on your Kodi device then you get to have a huge library of content. And not just any content. We’re talking about some high-quality and premium content here. The IPTV Stalker Kodi addon enables users to view TV content on any of their devices. IPTV Kodi Stalker has many other benefits as well. It has a ton of features to keep the users feeling excited and happy. It has the ability to enable users to watch TV channels on their mobile devices such as Android smartphone as well. IPTV Stalker Kodi addon has a lot more features than what we have mentioned above. Overall, this addon is the best add-on if you want to watch DirecTV outside US. The best part about this addon, among many other things, is that it works with mobile devices such as Android smartphones. It can play all the content you could ever want to watch via Kodi. IPTV Stalker Kodi addon download, as mentioned before, isn’t all that difficult. And that is especially true if you have SuperRepo installed on your Kodi setup. SuperRepo is great for a variety of reason as well. The biggest reason why so many people want to use SuperRepo repository is that it makes it very easy for users to access various Kodi addons. It has an automated index and that makes things very simple. In other words, if you want to install IPTV Stalker Kodi addon with the help of SuperRepo repository, then that would be very easy for you since SuperRepo already has the IPTV Stalker Kodi addon in its index. But you never know what the law of your country might say one day. Hence, it is always better to be on the safe side. Government agencies and internet service providers know your IP address if you aren’t using a VPN service. Moreover, the general public can also see your IP address if they have the slightest sense of how to do that. In other words, whenever you are watching something on the internet there is a risk that someone else is tracking you. Since you want to use Kodi to watch DirecTV outside US, this means that you want to become a Kodi user. All kodi users watch a lot of TV shows, live streaming videos, movies along with sports events, PPV and a lot of other stuff. Depending on the region you live in, you may want to protect yourself with a VPN service provider. Moreover, you should also know that some Kodi add-ons don’t work in all regions. Hence to get past those geo-restrictions you will have to use a VPN service provider in any case. But a VPN service provider can solve all of them. A Kodi VPN will not help you watch all the content you need to watch via Kodi, but it will also help you to stay under the radar. VPN service providers, when working with Kodi, keep you anonymous. Hence you can watch anything and everything you want to watch and when you want to watch it. Moreover, remember that a good VPN service provider will also get rid of buffering issues that users commonly face with Kodi streaming. Now, we have gone out in the market and have researched a ton of VPN service providers for Kodi. Our research says that IPVanish is the best VPN service provider for Kodi. And there are tons of reasons for that. The two chief of those reasons are that IPVanish works with all Kodi add-ons and has great encryption. Generally speaking, there are three ways in which you can watch DirecTV outside US. The best method is without a doubt using the VPN services. Kodi is great because it is free. But it may be illegal in your country. The SmartDNS service method is probably the weakest among the three we have mentioned. Of course, that doesn’t mean it is bad for everybody. If you want speed and no additional software then SmartDNS service option is for you. If you encountered any problems while following this guide then let us know by using the comments section below. Moreover, don’t forget to enjoy watching premium TV channels via DirecTV and/or IPTV Stalker Kodi addon.